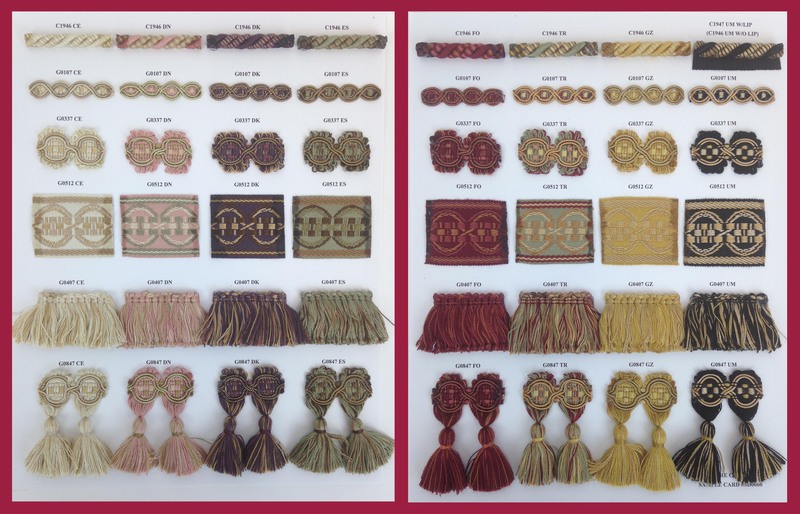 The Guinevere Collection of trimmings is a collection of traditional fabric trim in 8 beautifully blended designer colorways that have stood the test of time and remain best-sellers. 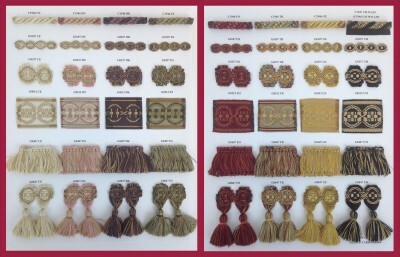 The gold tassel fringe is one of our most often requested drapery trims. 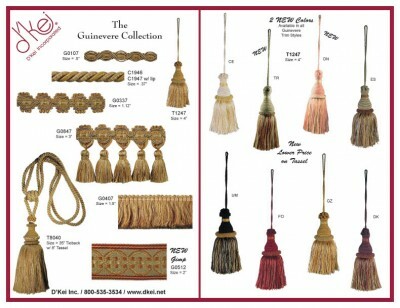 In addition to tassel fringe, this collection also offers wide woven jacquard tape, brush fringe, 1″ decorative gimp, 1/2″ decorative gimp and designer cording. The coordinating key tassels and drapery tiebacks have beautiful detail.